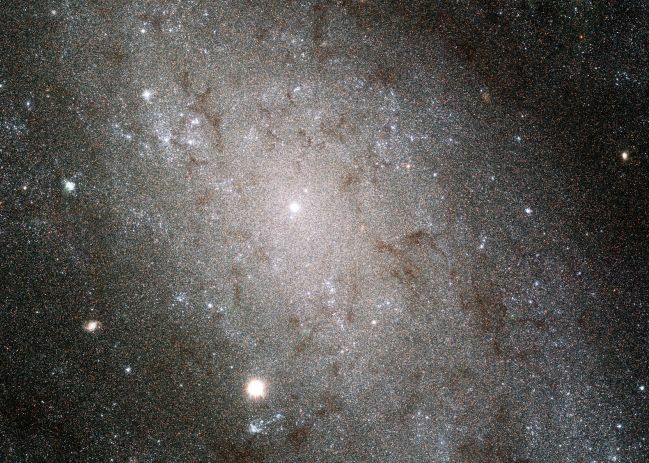 Explanation: Like grains of sand on a cosmic beach, individual stars of large spiral galaxy NGC 300 are resolved in this sharp image from the Hubble Space Telescope's Advanced Camera for Surveys (ACS). The inner region of the galaxy is pictured, spanning about 7,500 light-years. At its center is the bright, densely packed galactic core surrounded by a loose array of dark dust lanes mixed with the stars in the galactic plane. NGC 300 lies 6.5 million light-years away and is part of a group of galaxies named for the southern constellation Sculptor. 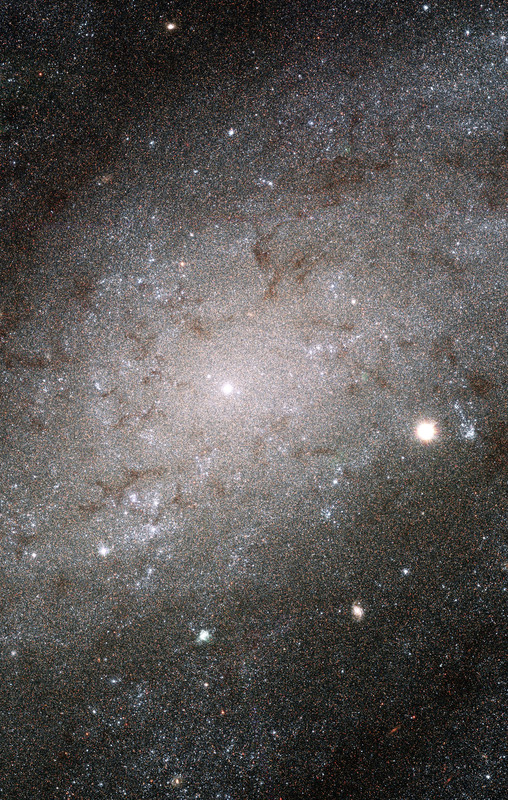 Hubble's unique ability to distinguish so many stars in NGC 300 can be used to hone techniques for making distance measurements on extragalactic scales.